Even online businesses find that they can best market their company with promotional merchandise such as t-shirts. Logan Marshall, a blogger for OnlineOffice.com, a company that helps people create and manage online businesses, advises online businesses to use t-shirts as an inexpensive way to create brand awareness for new online businesses. As Marshall observes, many Internet businesses don’t even think about using t-shirts and other promotional material to promote their business. Because they work online, their first thoughts are to tweak their website’s SEO, create Web ads, and other online methods. Yet those may not be the most effective methods for online companies to use. Businesses could obtain better results by using traditional swag to build brand awareness. Marshall suggests that online businesses create enough t-shirts for all employees that attend informal seminars and meetings. 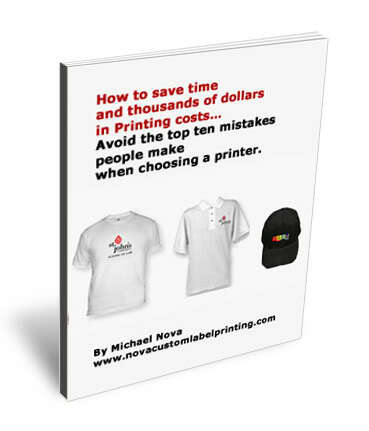 Make the shirt appealing enough—think catchy slogan and attractive logo—and businesses will attract attention when they pass out informational brochures. The trick to building a brand is to make a company’s promotional wear memorable. He also suggests that companies attend sporting events together wearing the promotional t-shirts. Not only will it build brand awareness among the other spectators, but it will also create good will among your team. If a company itself participates in marathons or other athletic events, he advises, executives should give all participants a free t-shirt for their efforts. Again, spectators will see the employees out there on the field wearing the company’s brand, and the company’s employees will pump up their fitness level. A win-win situation for any company. Another way Marshall suggests for startup Internet companies to create brand awareness is to offer employees a free meal in exchange for wearing the company’s branded t-shirt to the restaurant. That concept could be extended to include fans, if the company has had a previous giveaway event for their fans. 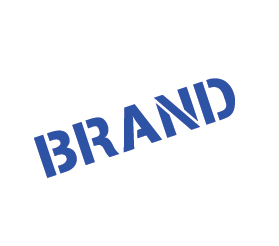 Brand awareness would grow, as would loyalty among a company’s fans, with such a promotional tactic. “Make people remember,” he advises. When companies distribute flyers at community events and in crowded urban spaces, companies should require the employees handing out the flyers to wear the company t-shirt. This, Marshall says, will help people remember the company. To overcome the challenge of being a startup to become a successful business, a company must create a memorable campaign. Companies can also get better mileage if they brand their business cards with the same logo as is on the company t-shirt. When people see a company’s logo on a t-shirt and then again on a business card, it will stick out more in their memories. Startup companies should not neglect the power of word-of-mouth when families, friends, and clients wear the company t-shirt out and about the community. Companies who create a memorable logo, advises Marshall, will have little trouble convincing others to wear the company’s t-shirt. A company need not hire a Don Draper clone to build a successful advertising campaign. All a company needs are a few t-shirts, an imaginative design, and a slogan that builds brand awareness among those who see the shirts pop up all over town. What Makes Custom Apparel Effective? A Case Study.